Florissant, Colorado is located in an area that is rich with history, natural beauty and activities. The Fossil Beds are a marvel of ancient life and there is a homestead settled by one of the first women pioneers in the area. Cripple Creek is only 18 miles away and has an assortment of casinos and mine tours. There are over a million acres of Pike National Forest with Spinney Mountain and Eleven Mile Reservoirs and Manitou Lake and Lake George nearby. Woodland Park offers a great variety of dining and shops to explore as well as a whitewater rafting company and the Dinosaur Resource Center. Closer by, Divide has a grocery store and there is a convenience store with a Subway sandwich shop and gas in Florissant. A new coffee shop and Oney's pizza and sandwich shop provide other alternatives for meals within walking distance if you're in the mood for a bit of a stroll. 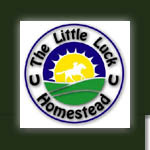 The Little Luck Homestead sits on 56 acres and features a creek. While there are horses on the acerage, you are welcome to explore and check out the property on foot. There are beaver dams on the creek and a blue heron nest by the creek in the spring. Other wildlife includes prairie dogs, badgers, coyotes, deer, elk and an occasional bear. There is petrified wood and fossils to find, but please do not remove so others may also enjoy. The hillside has many good places to nestle in the trees with a book or just to enjoy the quiet and the view. The State of Colorado now requires that riders purchase a permit similar to a fishing license to use public lands. They are available at Walmart and also at most retail outlets that offer hunting and fishing licenses. It should also be noted that there is no phone at the house. Both Cingular and T-Mobile subscribers get coverage in the area, other carriers may not.